The McFly project has announced that they are in the process of setting up infrastructure for their autonomous flying car taxi service in Nairobi, Kenya. Nairobi will be part of the 23 cities around the world where the Vertical Take-Off and Landing (VTOL) urban flying taxis service is hoping to initially launch. Added to that, passengers will pay for McFly urban flying taxi rides using McFly’s tokens on the Ethereum blockchain. 3D rendition of the McFly flying urban taxi. “The VTOL autonomy will be implemented over time as users and regulators become more comfortable with the technology and see statistical proof that autonomy provides greater levels of safety than human pilots,” said Nikolay Bezhko, Lead Community Manager at McFly. In 2017 Nairobi County announced that it will soon be using drones to monitor parking in the city. A project commissioned by the Nairobi County government and outsourced to Kenyan startup, Web Tribe. The McFly project will not only be about deploying flying taxis to Nairobi. 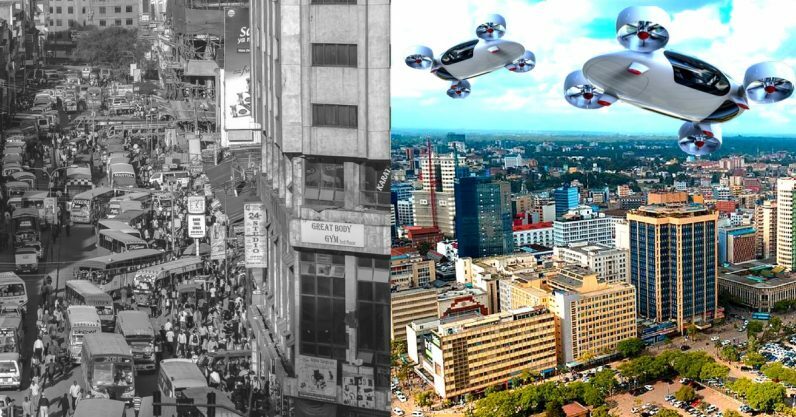 According to the company, there will also be an element of developing a community of industry experts who will be engaged to share their knowledge and insights and research as well as getting entrepreneurs in Nairobi to develop connections with manufacturers, real estate developers, and government organizations to help with the improvement and rolling out of the McFly flying taxis in Nairobi. The McFly ICO is already live with phase 1.2 of the token launch postponed to April 2018 according to the company. No prototype or working model of the McFly urban flying taxi is currently available and this will likely only happen once the company has raised enough funds from its token sale considering the estimated initial cost $120,000 to build a flying taxi. As futuristic as the McFly autonomous flying taxis sound, at an estimated cost of $8 per minute, far higher than what ride-hailing platforms currently charge, it remains to be seen of they will get enough riders to sustain them or if people will stick to mostly riding in matatus.